LA NACION continued in 2014-2015 with its effort to use data as new raw material for journalism and to contribute to open data in Argentina while reporting or as a way to activate demand of more public information, in a country still without a FOI Law. After another year of training and consistency in the data project of LA NACION, opportunities of new projects appeared. We continued reporting from datasets built from scratch and then transformed, opened and shared by our team in print, online and social media. As an example the series of articles of Argentina´s Prision System, sustained in datasets including deaths in prision, or the Subsidies for Movies Industry I and II series, demonstrate why building datasets is productive, as they are telling not one, but many stories and also, when updated, may be used as dashboards to monitor the rise of new stories. 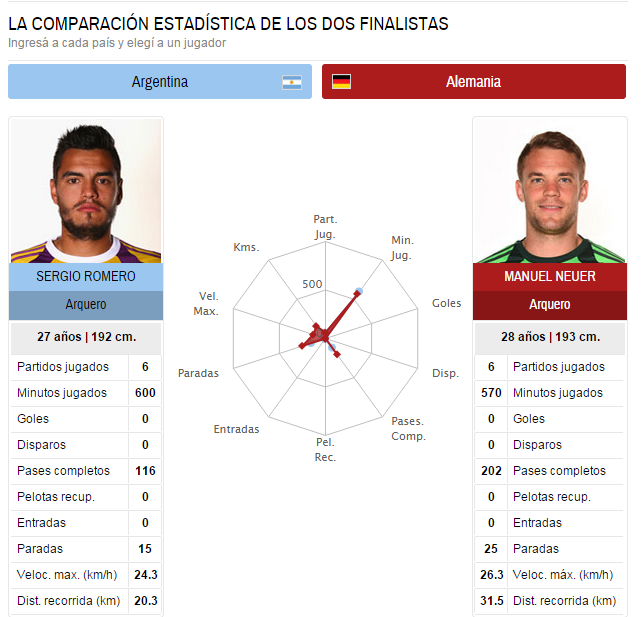 In our effort to push foward data awareness in the newsroon, we played with World Cup Data. In most of the visualizations, the information was analyzed and checked on the FIFA webpage. In the case of the goals data, the information was manually updated each day. A sports journalist, a data miner and visualization team made this new content available. We implemented and reused four times our platform Vozdata, and open sourced the code in Crowdata for others to reuse, to engage citizens in investigative reporting. 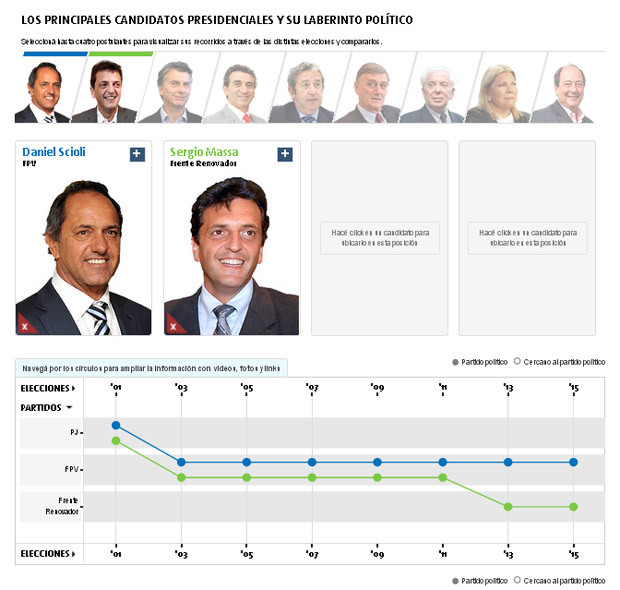 VozData´s first initiative was Senate Expenses (Argentina), divided in 3 different periods. Over the course of a couple of months, LA NACION digitized more than 10000 PDF. Team work was fulfilled by 1000 volunteers. Data obtained was published online in real time in the form of rankings of recipients and type of expense. The platform also includes ranking of users that review and classify documents. At the end of ea.ch data project, LA NACION´s data team reviewed representative samples and published the dataset in open data formats for download (CSV, XLS, etc). The code of the platform Vozdata was open sourced by OpenNews Fellows and named Crowdata. 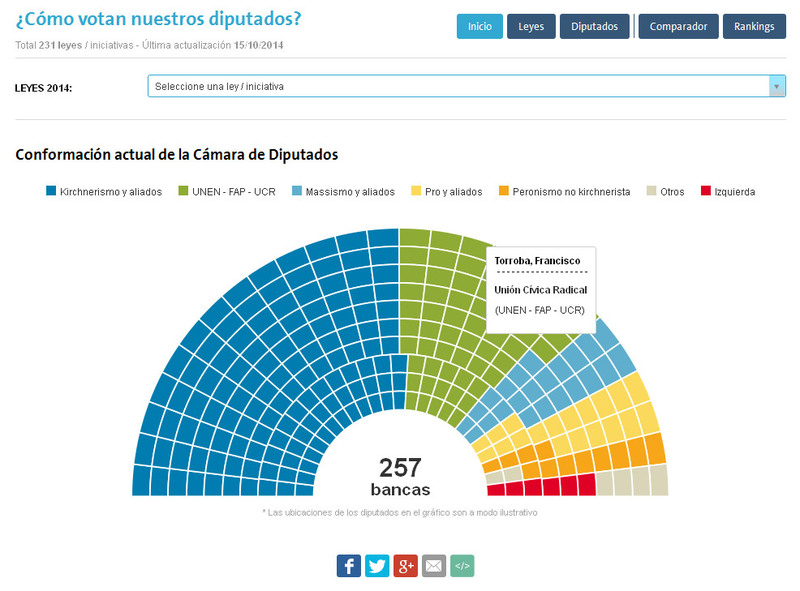 Then we developed Congresoscopio, a news app we keep updated after each Congress session, to open data from Congress votes, and to generate embeddable interactive data visualizations or analysis. Another effort in data visualization was the “The Political Maze 2015”, an interactive tool for visualizing the political path made by the major candidates and crosses between them in different political parties during previous elections. Our open data journalism includes updating our open data catalog to have “data ready” for frequent stories, and introducing the data dimension into daily reporting. We are strongly committed to activate the local community, and we cover the open data movement in our daily updated Data Homepage and our Blog where we share not only ours but other´s data adventures there. We keep updating complex datasets as the Subsidies for the Bus Transportation System in Argentina and sharing how we ask for public information (some denials have turned to front page stories) or how we build these datasets. The Indicadores Económicos Data Ready series are new series of datasets that include a dataViz ready, we did this to cover many stories that reused data or are monitoring industries or economic or employment activities, for this we developed LNViz, a tool that takes our data from dgocs and updates the chart, designed once by our interactive team so now we can build charts from data with the journalists without need of a developer or a designer. All of these series are updated manually from PDFs, but automatically shown in the front end, and the data is opened in Csv or XML. Part of these efforts are the translation of books to spanish, we did the “Data Journalism Handbook” and now we are releasing “The Art and Science of Data Journalism” by Alexander Howard. We gave our fourth and fifth internal training program of Data Journalism, in which we take 15 journalists for 5 full days mixing them with the data and interactive teams. 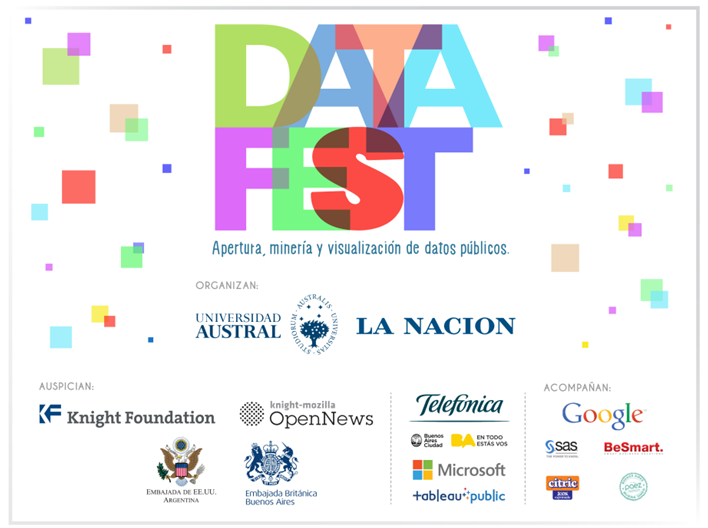 Finally, we repeated our third edition of two days Datafest open to the data mining, hacktivism and journalism community in Argentina. In this event we prepare, open and share ours and others datasets in open formats. Meet some of our team members in this video we made for Knight Mozilla Open News Fellowship 2015. Esta entrada fue publicada en DATA, ENGLISH, Portfolio por admin.